Date: 7th & 8th November 2008. Location: Centralny Dom Qultury ul. Burakowska 12 01-066 Warszawa, Poland. 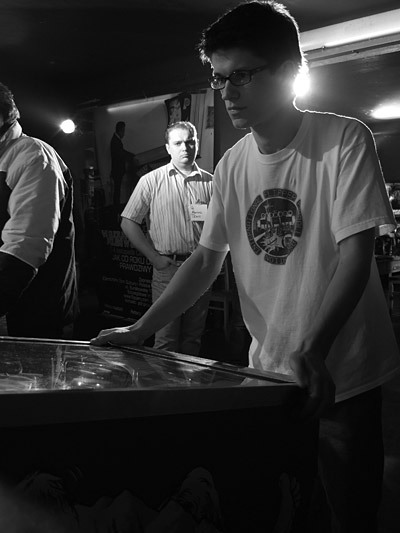 The 7th edition of the open Polish Pinball Championship (officially called “Qulturalne Mistrzostwa Polski w Grze na Flipperach”) turned out to be not only the most successful and unique, but also the most media friendly Qulturalne championship. 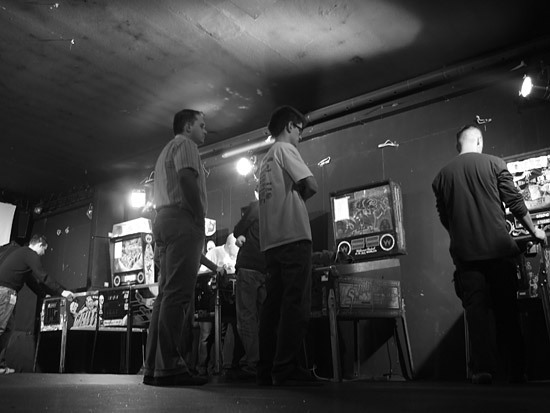 For the first time there were a lot of valuable awards, all thanks to the members of the Polish Pinball Association (originally called Polskie Stowarzyszenie Flipperowe). Olga Witkowska was very helpful in organizing the media support. She was responsible for the fact that the information about the championship was published in two Polish daily newspapers: “Metro” and “Polska” and, as it traditionally is, in the monthly “Machina” and “Interplay” magazines. 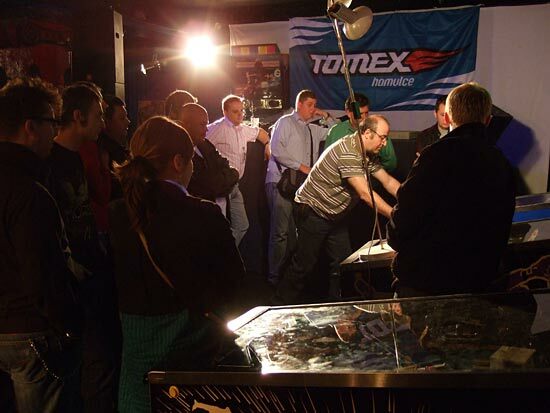 It is worth mentioning that after the championship my article about pinball which included details of the Championship was published in “Rzeczpospolita” while a reporter from another daily “Dziennik” was playing the the tournament and wrote the article you can see on the left. We got also a journalist from the “Antyradio” radio station and you can hear their report on the player below. 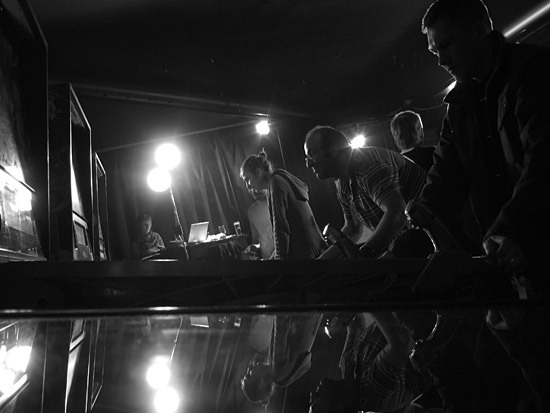 For the first time we hosted a television crew from “Polsat Play” who made this report. Additionally, it was possible to buy an entry fee through an internet auction, and there was also this promo film on Youtube and on our website: www.flippery.com.pl. Although the championship was widely advertised, the date was not so fortunate because 8th November was one of the days that made up a long holiday weekend, hence, many people took the opportunity to go away for a break. However, the record number of players from the previous year was beaten and there were 34 competitors. The competitors could practice during a training day which was the day before the championship started. This was the first time it was possible to afford an extra day such as this. 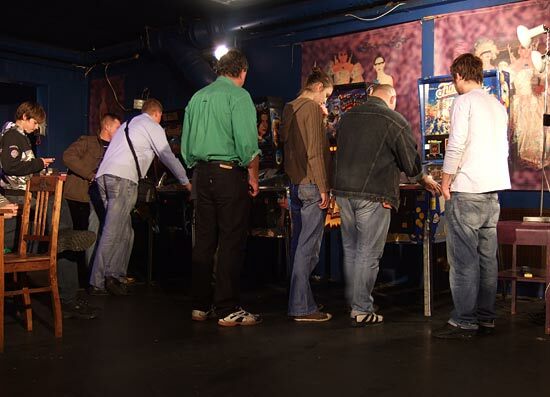 During the tournament - held in CDQ club in Warsaw - there were 10 pinball machines provided. Those that took part in the tournament were: “Junk Yard”, “Demolition Man”, “White Water”, “World Cup Soccer”, “Swords of Fury”, “Jokerz!”, “Pool Sharks” and the cult one; “Twilight Zone”. Only three of them (“Pool Sharks”, “SoF” and “Jokerz!”) as well as “Funhouse”, which served only for training purposes, were the machines with an alphanumeric display. The machine which had also an alphanumeric display and which has not been mentioned before, was the “Secret Service” – the main prize of the competition. Although this Bond-themed machine is not widely known, it got 7.5 out of 10 points on the Internet Pinball Database and turned out to be a very interesting game. 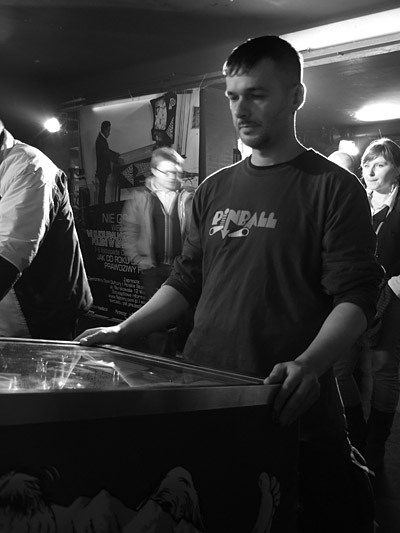 This year, the pinball machines were not only delivered by Jacek Przybylski - who has always been our supplier - but also by three other people, among them the pinball family of Nietrzebka. Furthermore, for the first time we had competitors from so many different parts of Poland; three players came from Silesia; the winner of the first Polish Spring Championship in Piaseczno – Daniel Nowak came from Belchatow, the oldest competitor – Waldemar Wozniak with his sons from Kielce and there was a person from Poznan and one from Swinoujscie. Last but not least, a player from abroad – a forty-three-year-old German Albert Médaillon, who at the time held 26th position in the world ranking. He was expected to be the winner by most people. The tournament started around 3pm. All the competitors played once on each machine. There was a ranking for each machine and the computer was choosing the best players on each machine, which meant that what really counted was how well you did against other players on the same machine. After each game the competitors' scored were recorded and the sixteen semi-finals were selected. 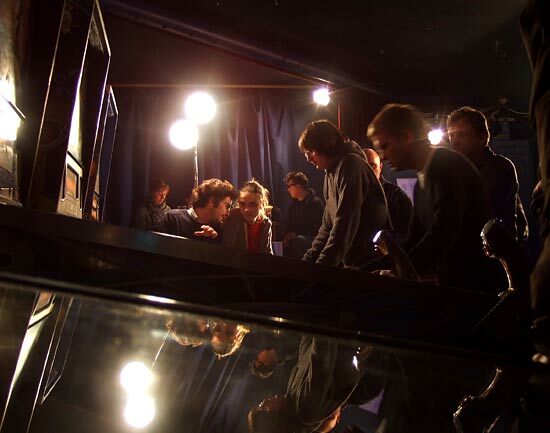 Those sixteen competitors were divided into four groups, each consisting of four players. They were playing on the same two machines which were drawn out of eight. There was the play-off between two players who had the same ranking – Janek Nietrzebka and Mariusz Tkacz who was taking part in the championship for the first time. They played on the “White Water” and after a fierce battle it was Mariusz who joined Albert Médaillon, Michał Glowacki and Piotr Butkiewicz who was taking part in the final for the third time. 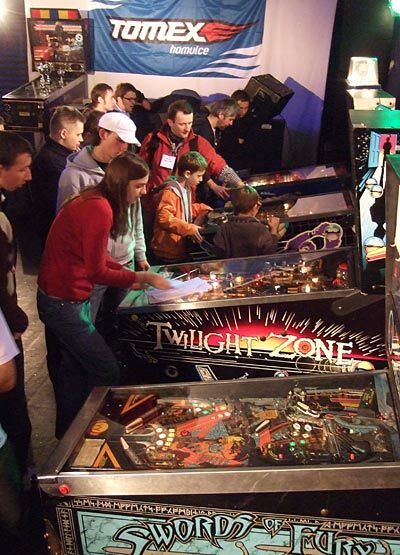 They played on three pinball machines: “Junk Yard”, “Twilight Zone” and “White Water”. Mariusz Tkacz became a winner on the two of them, and even Albert Médaillon’s victory on the third one could not tip the balance in anybody’s favour. Michał Glowacki was third and Piotr Butkiewicz finished fourth. 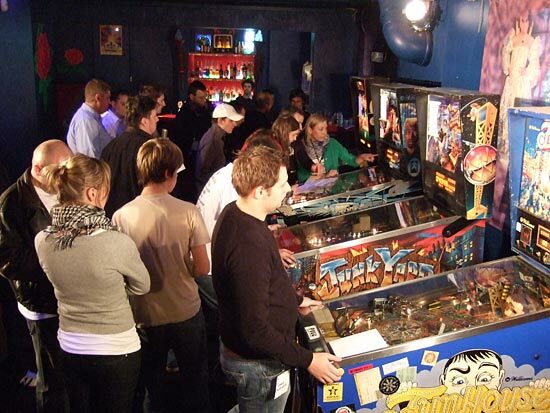 This year, there were other awards apart from the grand prix – the Secret Service pinball machine and traditional cups sponsored by “Interplay”. 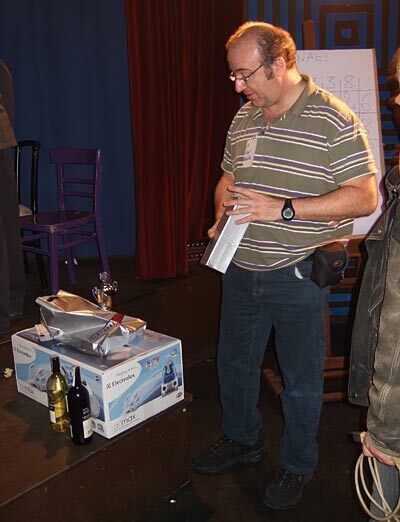 Winestory, a chain of wine stores in which Piotr Butkiewicz works, sponsored a few bottles of wine for the winners. Marcin Trzaskowski, who always takes part in our championship and who works for the Polish branch of Electrolux, provided a prize of a vacuum cleaner for second place, which went to Albert Médaillon. “Interplay” also sponsored an annual subscription to the magazine for the winner and “Machina” – a six-month subscription for the first three places as well as some gadgets for everyone. Moreover, Bartosz Nowak gave souvenirs from the company Tomex where he works. Additionally, everyone got a championship poster, a certificate and a small calendar. All of these and the PSF's cards were thanks to Marcin Krysinski and his company KupBilet.pl. A banner and more posters were additionally printed by Glowacki, the owner of G&G Studio. in the Qulturalne Mistrzostwa Polski w Grze na Flipperach"
The job of running the draws, the counting and registration was done with great passion by the previously mentioned Olga Witkowska and the author of this translation Zuzanna Kolodziejska. The tournament could not have been organized without their help. 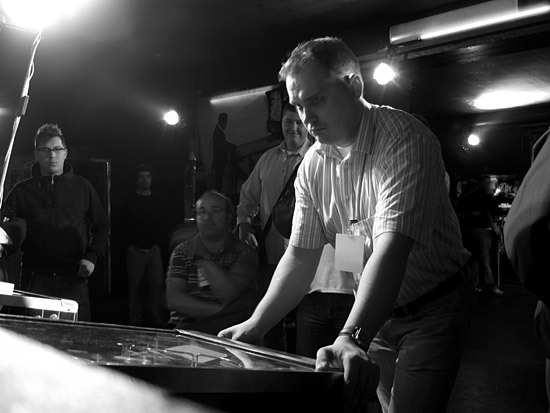 I’d also like to mention also the involvement of Konrad Buczynski, the secretary of the Polish Pinball Association. It was him who put us in contact with Artur Rej who became the webmaster of our website and was the author of our promo film. I hope that we can count on those whom I thanked during the next year tournament. 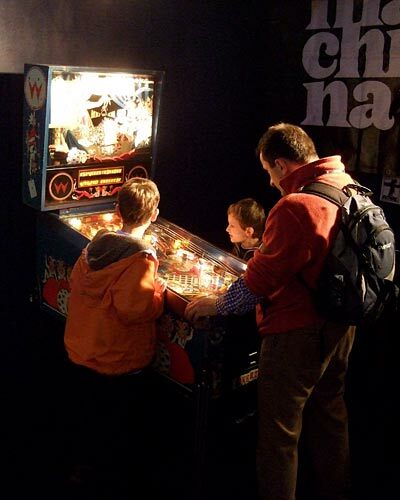 We kindly ask everybody who is interested to help us next year and to support the Polish Pinball Association. Moreover, we invite everybody to visit our website which is going to be fully functional soon and is where we will be announcing the Polish Spring Championship. Finally I want to describe a potentially dangerous incident that occurred at the tournament. The head of one of the pinballs came loose during play and fell forward. Risking his fingers, the player managed to catch it just inches before it hit the playfield glass. Neither the pin nor the player were harmed but it was really scary to watch. 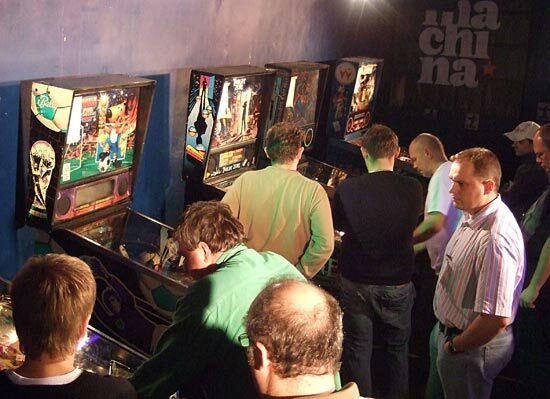 For me, after the UK Pinball Show where I had cut my hand on the front bar of a pinball, it was another proof that even playing this seemingly safe game can get you injured. Fortunately, it takes a lot of bad luck for this to happen.